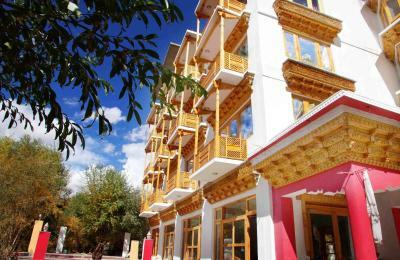 Operating a 24-hour front desk, Grand Himalaya is located in the scenic beauty of Leh. 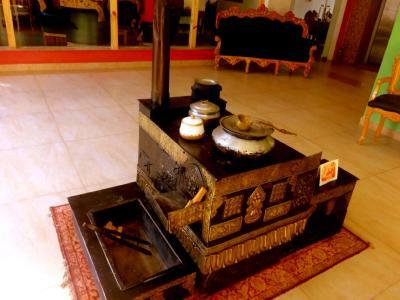 It offers cozy rooms with heating facilities. 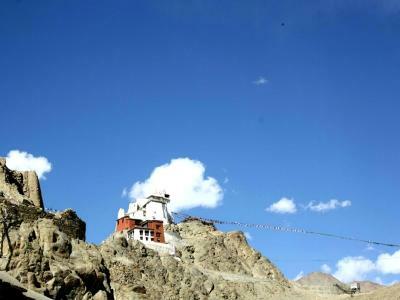 The royal Leh Palace is just 450 feet. Free Wi-Fi is available throughout the property. 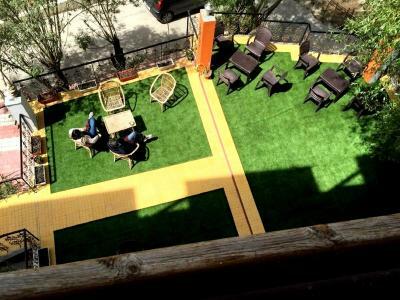 Overlooking the picturesque mountain and garden, fan-cooled rooms here will provide you with a flat-screen cable TV, a balcony and a seating area. Featuring a shower, private bathrooms also come with a hairdryer and a bathrobe. 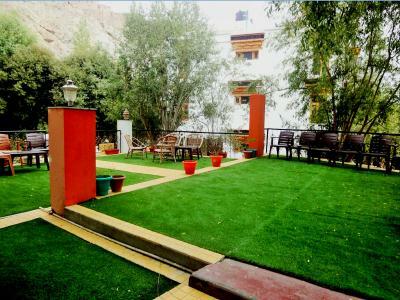 At Grand Himalaya you will find a garden and a terrace. Other facilities offered include tour desk and luggage storage. Currency exchange can be arranged. 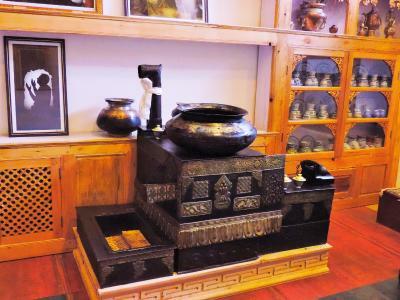 The hotel is 1 mi from Namgyal Tsemo Gompa, the monastery known for its three-story high solid gold idol of Maitreya Buddha. The white-domed stupa, Shanti Stupa is 0.9 mi. The Kushok Bakula Rimpochhe Airport is 3.1 mi. Dining options include 24-hour room service. 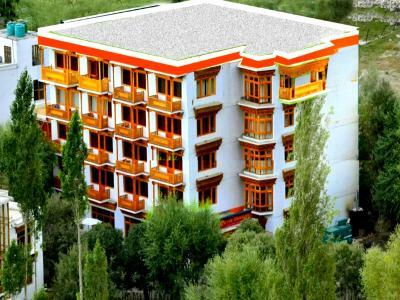 When would you like to stay at Grand Himalaya? 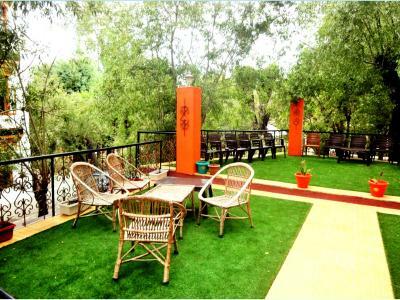 Overlooking the picturesque mountain and garden, fan-cooled rooms here include a flat-screen cable TV, a balcony and a sitting area. Featuring a shower, private bathrooms also provide a hairdryer and a bathrobe. 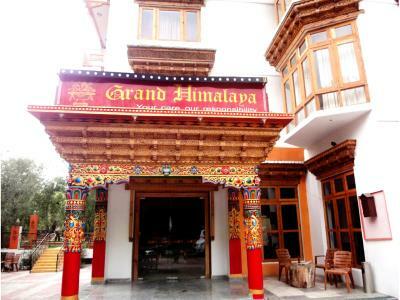 House Rules Grand Himalaya takes special requests – add in the next step! 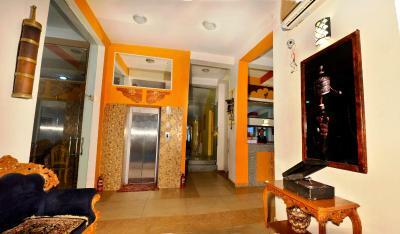 All children under 12 years are charged INR 4268 per night for extra beds. 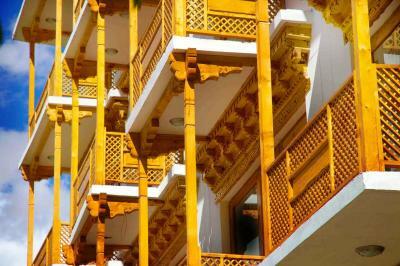 Any additional older children or adults are charged INR 4268 per night for extra beds. 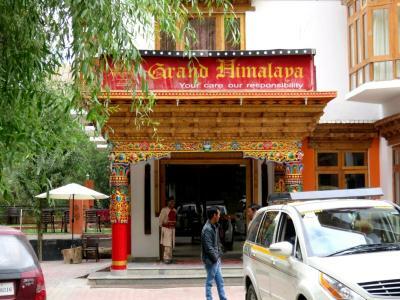 Grand Himalaya accepts these cards and reserves the right to temporarily hold an amount prior to arrival. We need at least 5 reviews before we can calculate a review score. 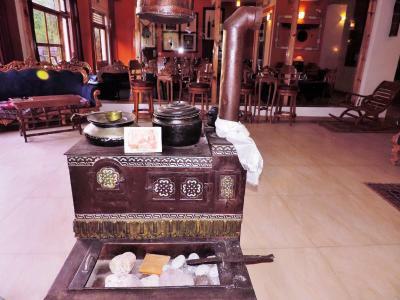 If you book and review your stay, you can help Grand Himalaya meet this goal. Not really a place for foreigners. 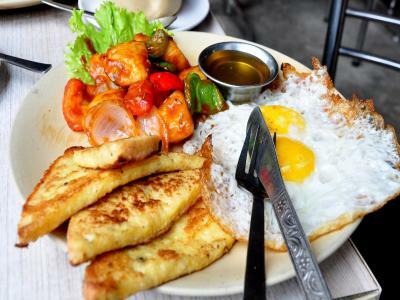 Breakfast is very limited if you're not a fan of Indian food. Central heating never worked. Cold and dark bathroom. An aspiring hotel in terms of stars. Close to Main Bazaar.